We have had a lot of request for what our hours are, and while we have posted hours on our Facebook page, we felt it better to blog on what our hours will be like. We are always more than willing to be flexible and accommodate any and all, that is why we ask that you email/message us for confirmation before heading over. If you do happen to be in the area and the roll up door is up, then we are open = general rule of thumb. 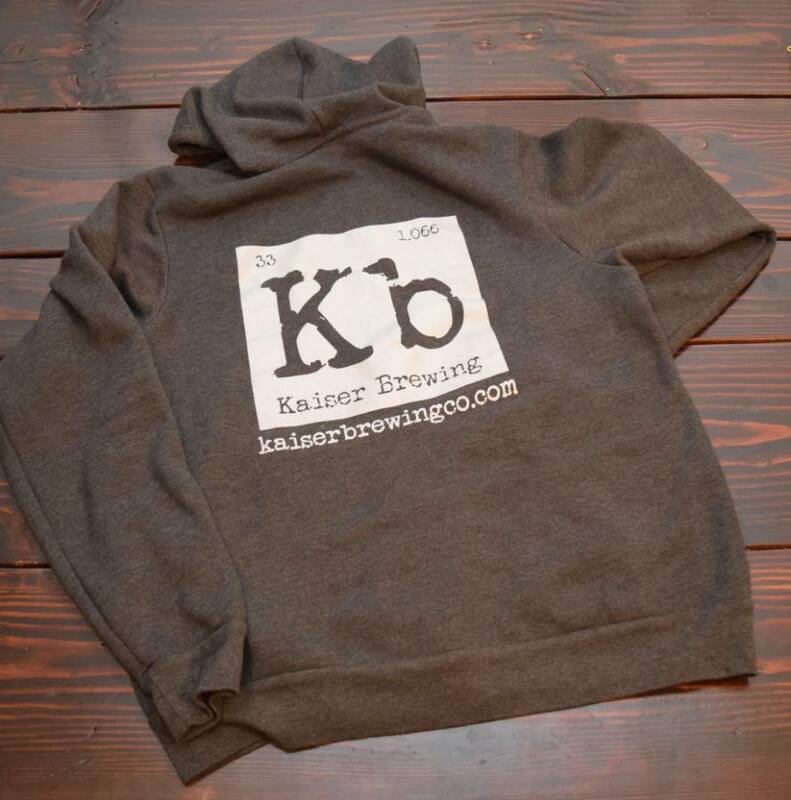 Additionally, when we are brewing, we will let you all know on Facebook and be open then. 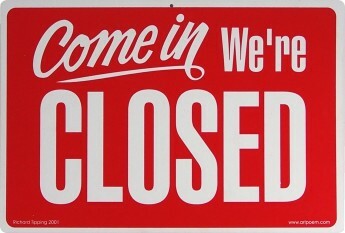 We know there are those time you will be in the area so we welcome you to just come on by during the hours posted, but if the roll up is closed, try messaging still. Onward and forward! It’s been just thirteen months since we bought and moved into our new home and began working on making this brewery dream a reality (and only 6-months since our last update blog – WAIT, WHAT, WHAT?!) Thirteen months, thousands of dollars, hundreds of work hours, and a ton of paperwork later, we can almost see the light at the end of the tunnel. We are nearly there. 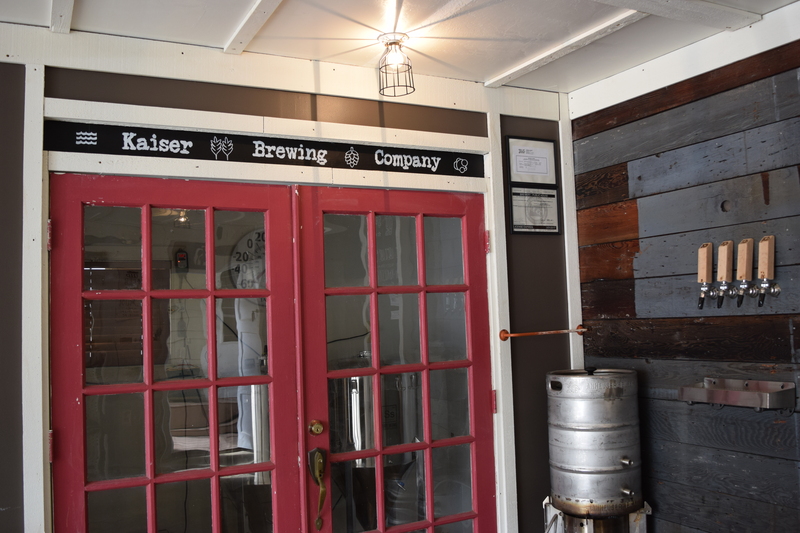 Just about ready to announce that Kaiser Brewing is officially open for business! 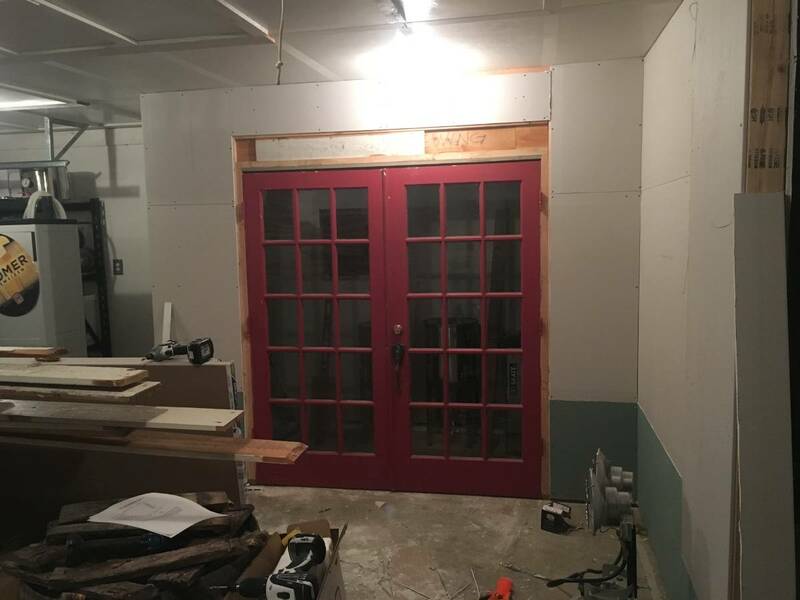 Since our last build-out update, we’ve primered, painted, and sealed the new walls, installed temperature-regulating devices in the fermentation and cold rooms, insulated the cold room, installed four taps/lines, added decorative finishing touches inside the brewery, got some new kegs, and the best news of all, finalized our OLCC license! To regulate temperatures in both the fermentation chamber and cold rooms, we installed air conditioning units in each. 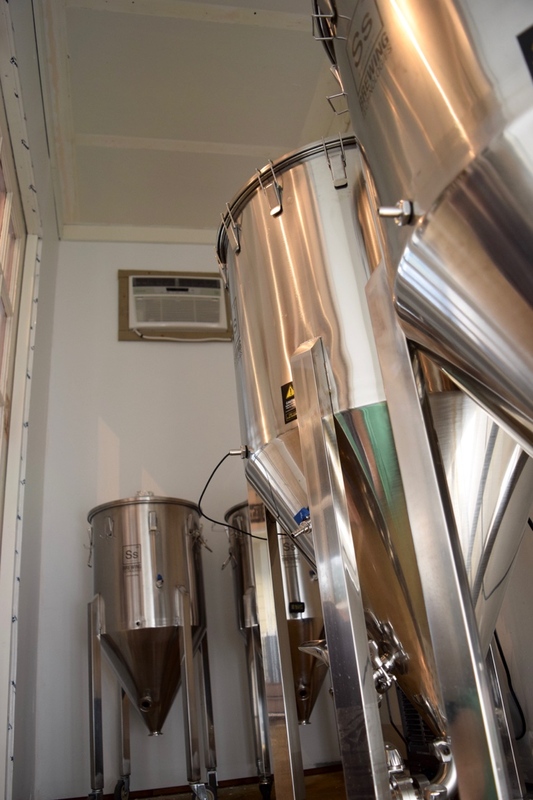 For the fermentation chamber, we added an automated heating and cooling sensor to regulate the temperatures our ales ferment at. 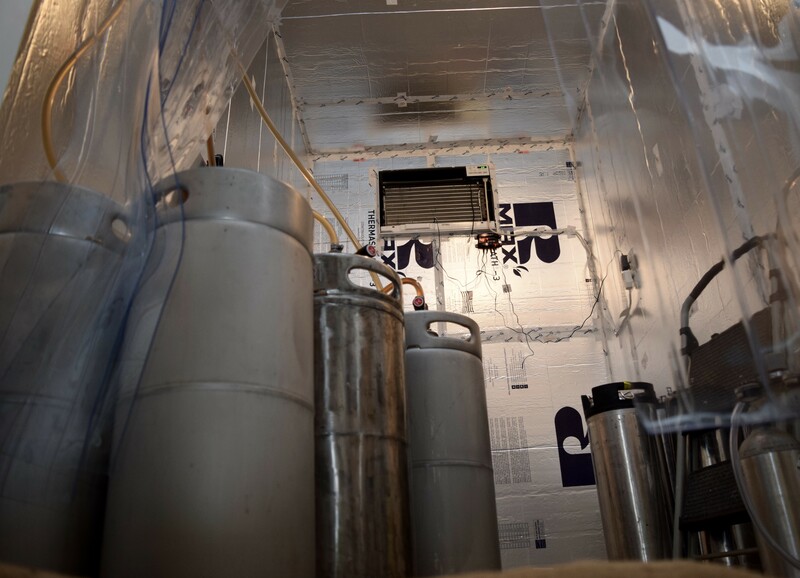 The cold-room required an integrated Cool-Bot unit to bring keg temperatures down to the right serving/conditioning temperatures. Adding the tap lines was pretty intense. 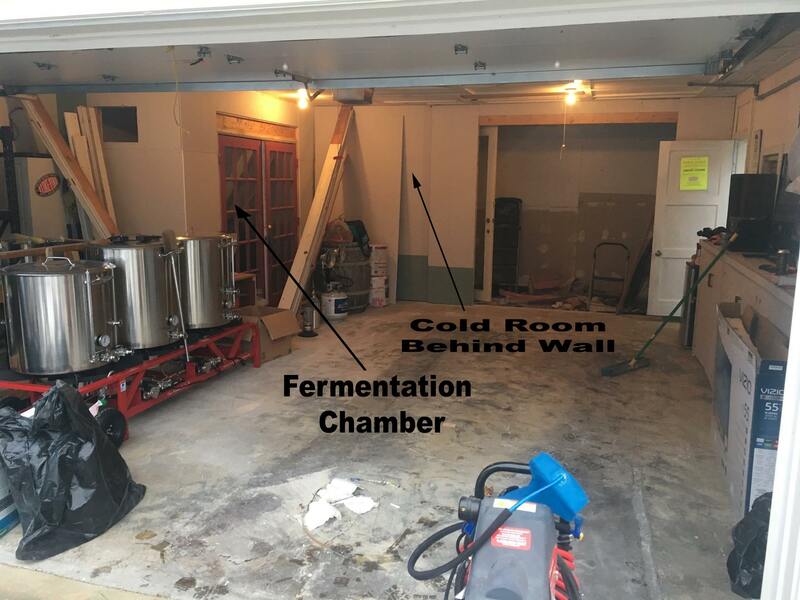 Everything started off smooth; drilling holes through the cold room and tap wall, adding the shanks, taps, making the tap handles, reinsulating the cutout, installing the cO2 regulators, beer lines and keg couplers, and a partridge in a pear tree. But when we installed the beer-line tubing for the lines, the beer had an awful taste, and YES, after performing a proper cleaning. Thinking they are new and just needed a few more passes, we spent hours flushing the tubes, only to find out the bad taste persisted, no matter what! Long story short, we ultimately deducted that it was bad beer lines because (a) the flavor was only in the beer that sat in the line from the coupler to the handle, not from the kegs once flushed. And (b) doing the sniff/puff test. Yes it is a thing. I compared both the used and unused lines, by sniffing and then puffing on the hose, and that same awful smell/flavor that would not leave not matter what, was still present. I contacted the company, they claimed “wow, this has never happened nor have I ever heard of this before”. Ultimately I went with other beer lines, problem fixed, and I got a refund on my initial purchase. 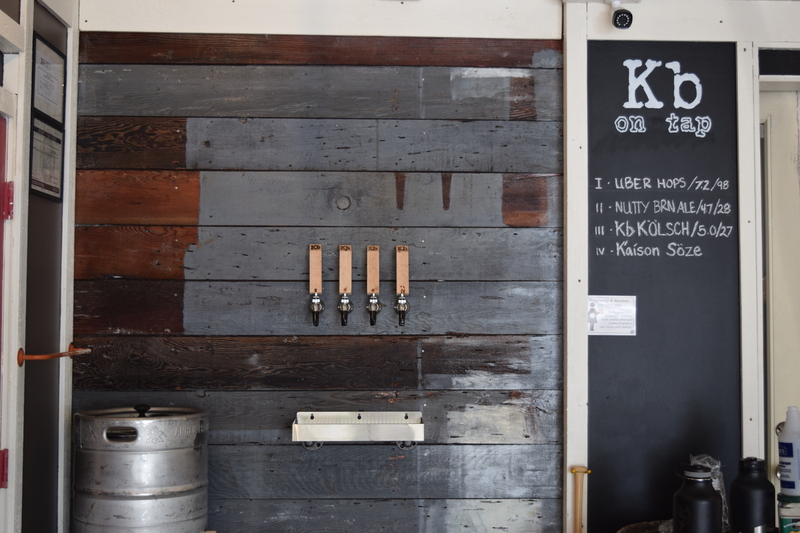 We wanted to add some Kb personality to our newly painted chalkboard walls, so, using chalk paint pens we added our name, logo, and tagline over the doorways and next to the tap wall. We have kegs! 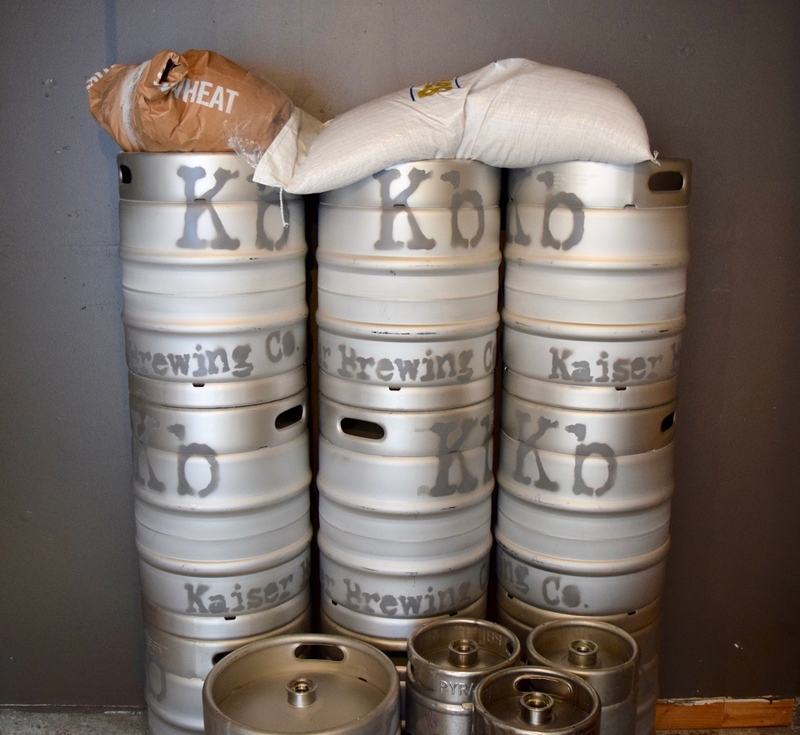 We picked up 15 used 1/6th bbl kegs and 10 new 50 liter kegs, created some really great, high-end cardboard stencils, and tagged those bad mama jamas! Look for them at your favorite bub/restaurant, purchase them for your next party/event, see them out in the markets, and make sure to come down and get a growler filled from them at our establishment. 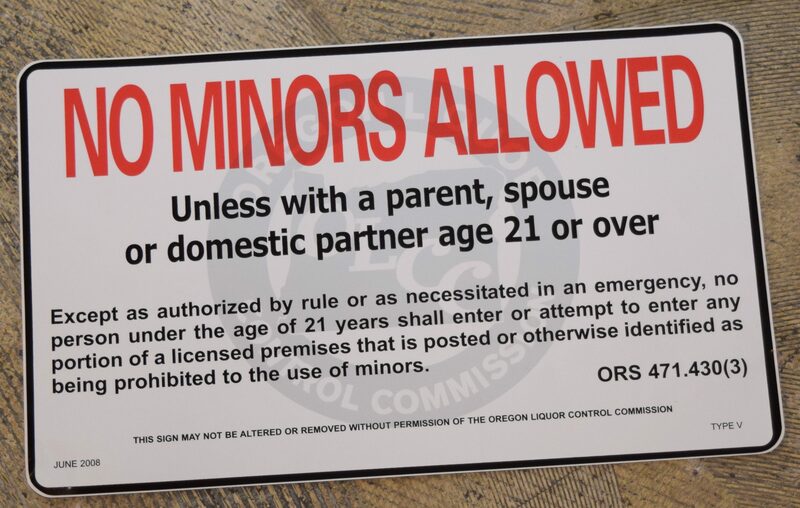 Our OLCC license was finalized on Jonathans birthday (6/28) and while we can sell anyone else’s beer, cider or wine, we still cannot sell our own beer without TTB approval. But we are close, my friends. So Friggin Fraking Fraggle Rockin’ close! 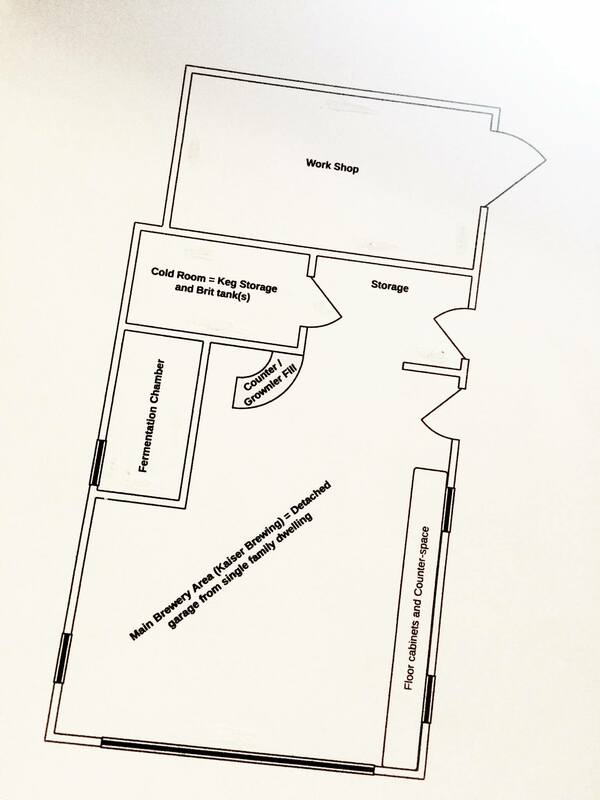 Next phase of the build out, includes pouring some cement in the storage area to level it with the rest of the brewery, sealing the entire floors, installing a three bin sink, and finalizing the last of our required licenses and permits with the TTB and ODA. So stay tuned! Did we mention we are so Fraggle Rockin’ close?! 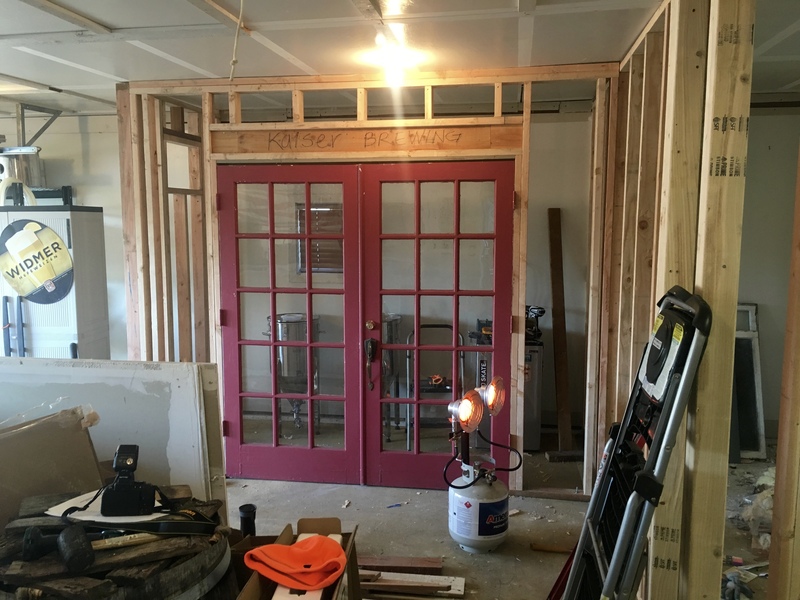 We are looking to officially open March/April (hopefully … come on TTB!) out of our garage. 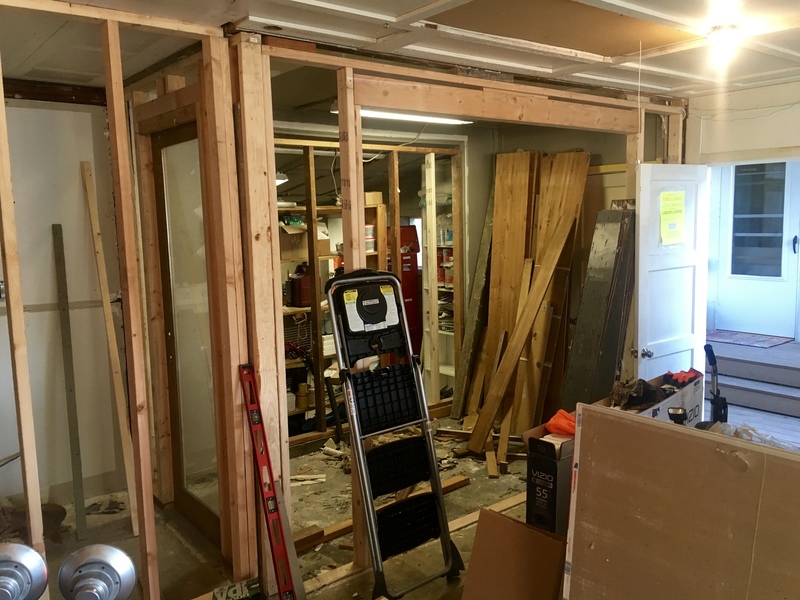 Previous owners had at some point added a shop to the back of the garage, opening a part of the original back wall allowing the shop to flow partially into the garage, separated by another added enclosure. 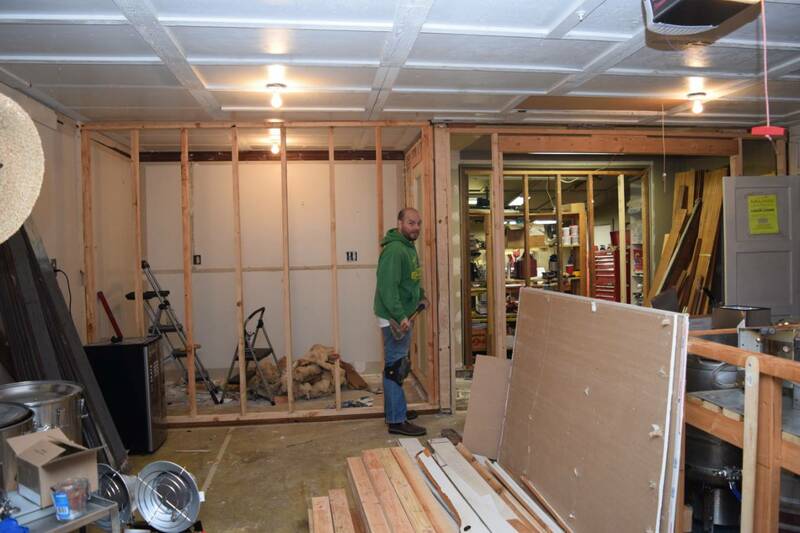 The layout was not optimal so I decided to wall-up the opening and remove the enclosure walls in the garage. Glad I did because while I was demolishing it, I found old, untreated water damage, mouse nests with dropping and filberts, 1×4’s instead of 2×4′, the supports were off, and they had used way too many shims and jerry-rigs! It’s no wonder that an entire overhead shelving storage unit came down on the top of my head, nearly knocking me out during the process! 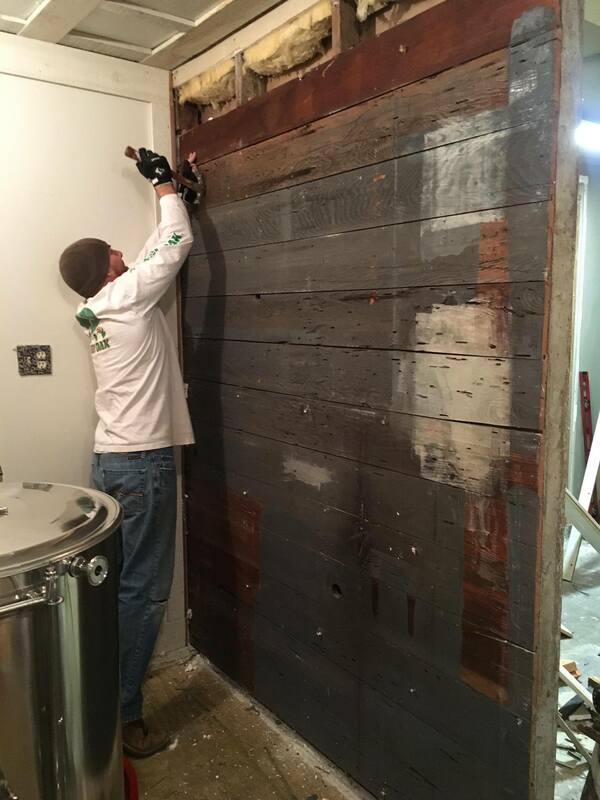 So while removing the enclosed shop wall to restore the garage to its original look, I found some really cool old wood that I will re-purpose on the front of the cold room wall, and hopefully paint a large mural of our logo on it. I want to avoid changing the look of the wood, and just seal it. 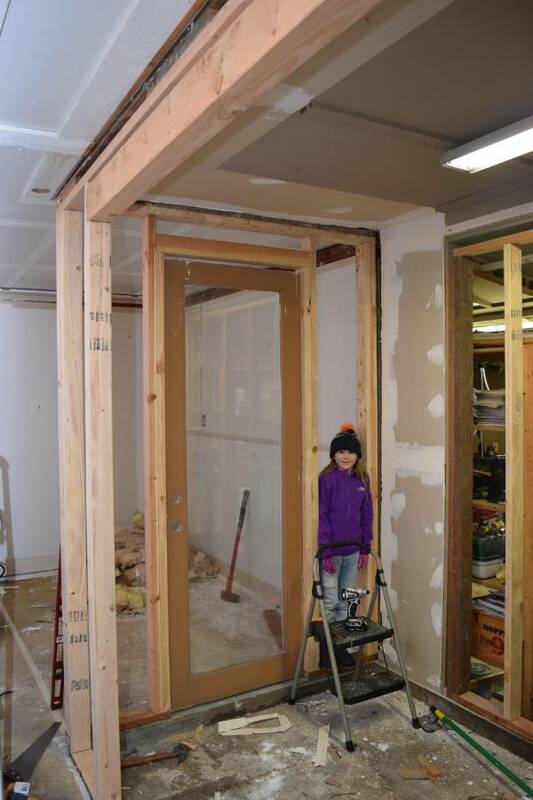 Once I got the enclosure wall tear-down completed, it was time to start framing out the new cold room and fermentation chamber walls. 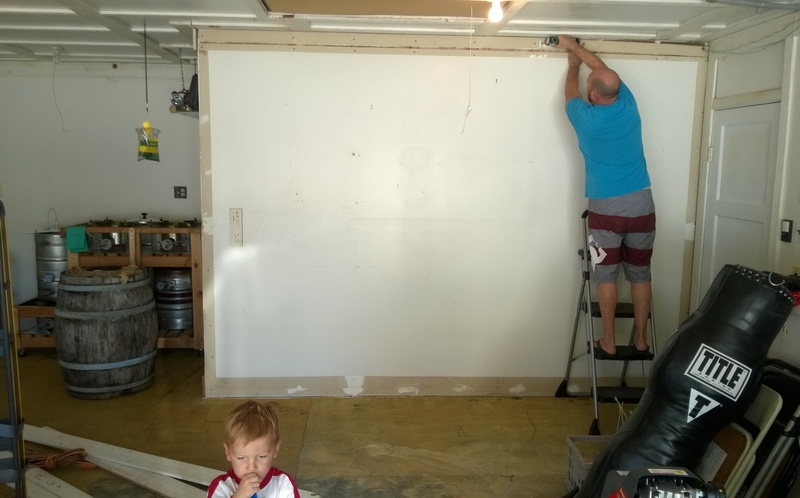 I walled off the back shop from the garage for a storage area in the brewery by putting in new framing, and a large header beam to create an open transition between brewery and storage. Next up was the cold room. 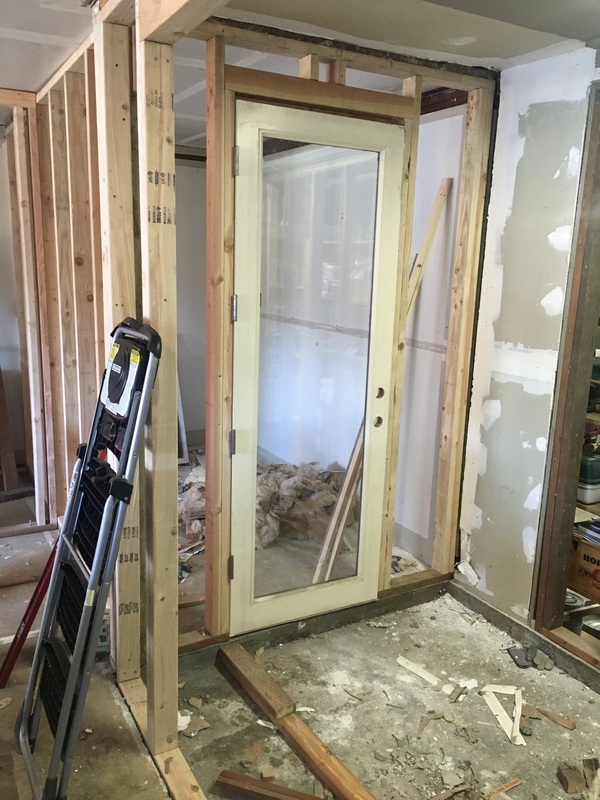 I framed and installed an entrance from the storage area into the cold room, and added a solid, exterior door, re-purposed from our local Habitat for Humanity ReStore. The thing is a BEAST, and feels like it weighs 100 lbs! 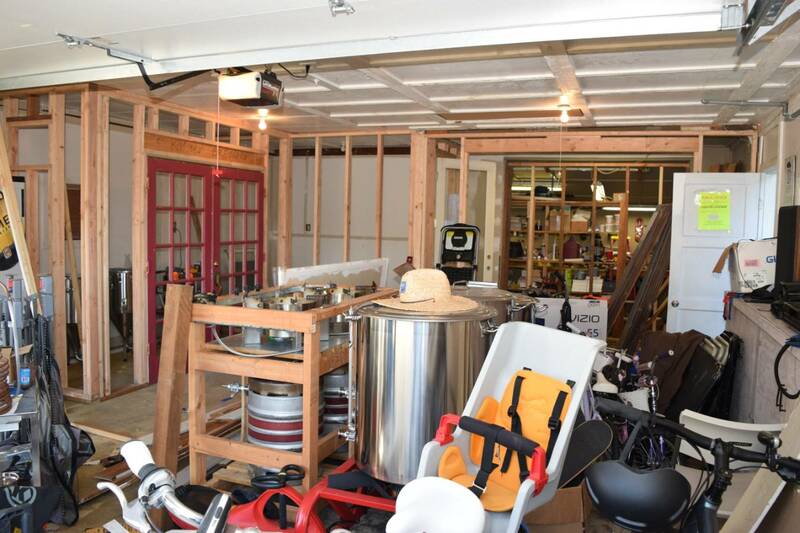 But it will help keep the room insulated, and maintain the right cooling temperatures for keg storage. 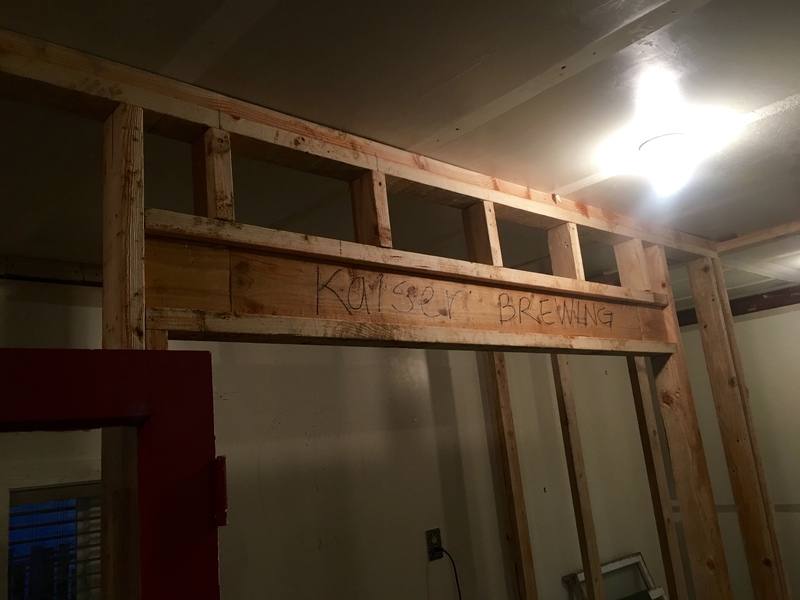 I then framed and built a new wall, separating the rest of the brewery from the cold room space. Insulation is not a favorite of mine either. Rolled fiberglass, if not handled right, can get on you, in your clothes, and sticks, itches and just irritates the heck out of you! So this is where it will be until this weekend, when I will begin the mudding/taping…. 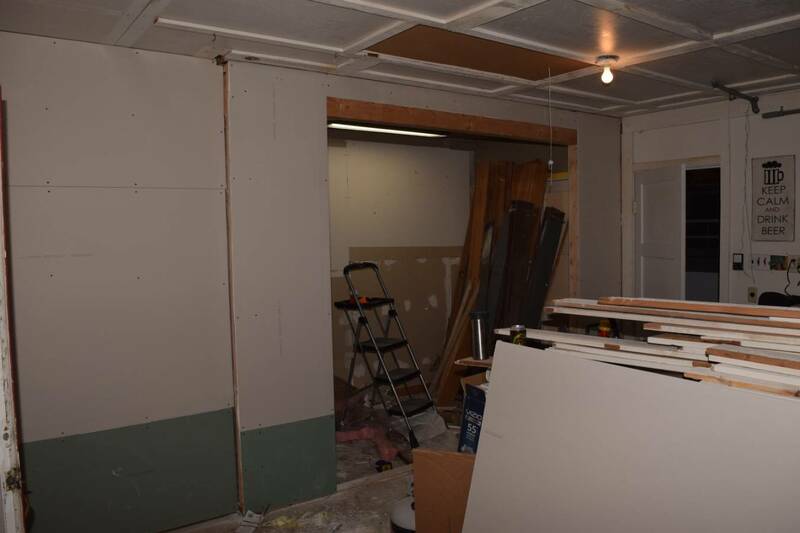 I also still have the rigid foam insulation to put up on the walls inside the cold room to keep the temperatures cold. And I need to install the AC units in the fermentation chamber and cold room as well. Then of course there’s the tap lines, and all the finish work to go. So, again, this is been part 1 of ‘n.’ Thanks for joining us on this crazy adventure! And more to come…. Oh yeah, and don’t forget, we also have these for sale (plug). We can ship or deliver them, if you’re in the area. Cheers! Merry (belated) Christmas to you all and we here at Kb hope that you are having a safe, fun filled New Years celebration to bring in 2016, and say farewell to 2015. Good or bad, 2015 is behind us and 2016 is in front of us. Make it the best year yet for you and if nothing more, you all have Kb officially opening up in ’16 to look forward to. 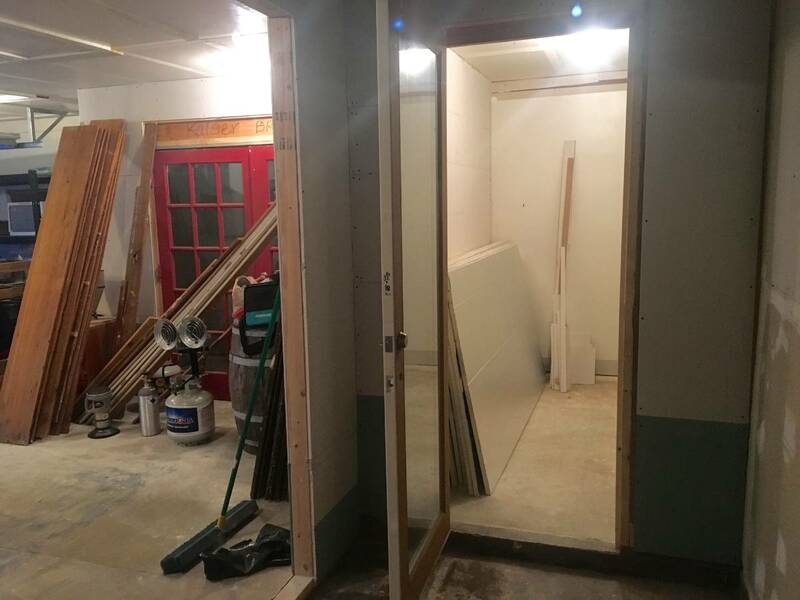 The framing is done in the ferm chamber, cold room and storage area and I will be spending the 1st day of the new year handing drywall and insulation … Cheers ALL! For more information about our beer, to make an order, or book a private tasting, drop us a line! We are open MOST Fridays 6-9 p.m.
and Saturdays 2-9 p.m., but call ahead or check our Facebook page as these sometimes get switched around due to event scheduling. Want to know what we're brewing and when? Or be the first to know about upcoming Kb appearances? Like us on Facebook or receive our updates by email!